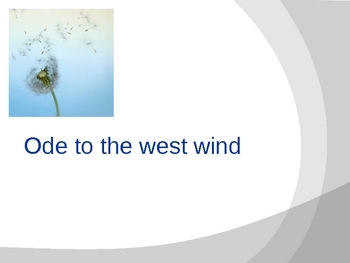 In-depth analysis of the first five cantos of Percy Bysshe Shelley's "Ode to the West Wind." 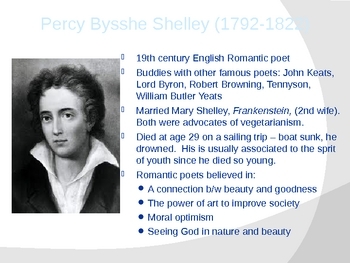 Includes Shelley's biographical information, and identification and analysis of symbolism of season and colors, shifts, paradox, apostrophe, metaphor, and theme. 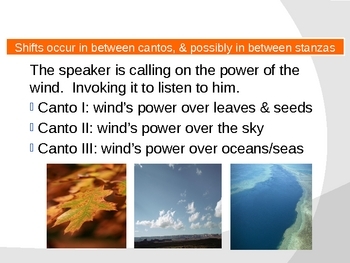 Great for poetry analysis practice.